Reverse Amplifier With Step Attenuator ARA2008 Attenuators By Anadigics, Inc. This is one package pinout of ARA2008,If you need more pinouts please download ARA2008's pdf datasheet. 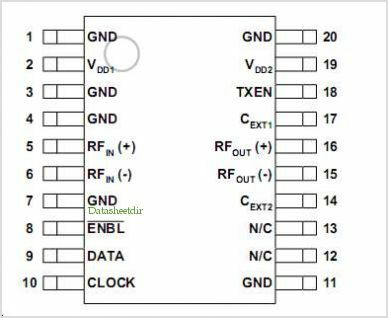 This is one application circuit of ARA2008,If you need more circuits,please download ARA2008's pdf datasheet.